15,000 people came together to experience Out Of The Darkness. Created to commemorate 75 years since the Liverpool Blitz, MBD used interviews and written archives to produce an immersive and dramatic soundtrack that brought back sounds and images from the devastation that was caused by the Liverpool Blitz. 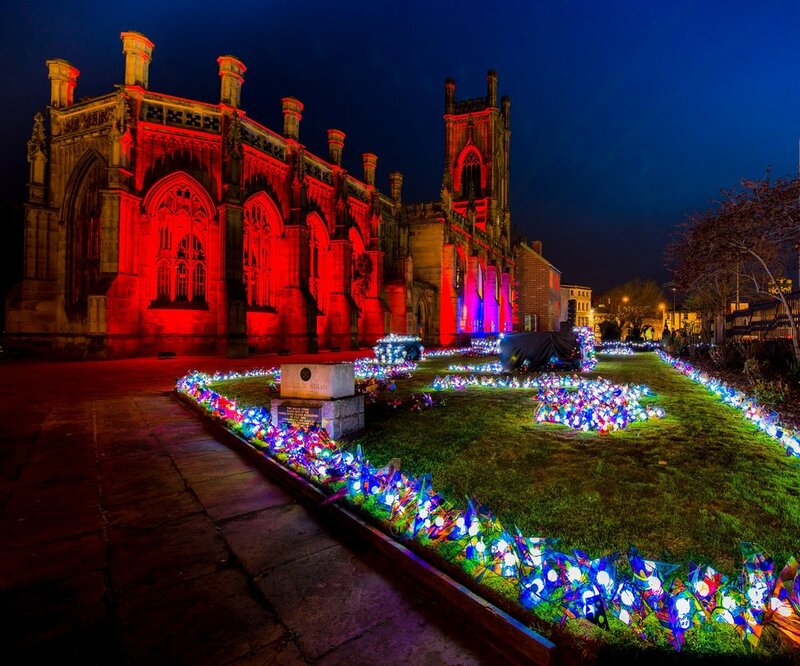 Alongside the soundtrack, dramatic lighting and projection mapping brought both the interior and exterior of St Luke's (Bombed Out Church) to life, and re-lived the moment when an incendiary device set fire to the church to create the shell that still stands today as a memorial to those dark times. However, Out Of The Darkness came an inspirational spirit and optimism that still epitomises the City of Liverpool today. With 2,000 primary school children helping to create a beautiful light sculpture as part of the event, the show celebrated present day Liverpool and those that live there. Stunning, atmospheric and emotive, Out Of The darkness is both a celebration of a City, and a stark reminder of the atrocities of war.